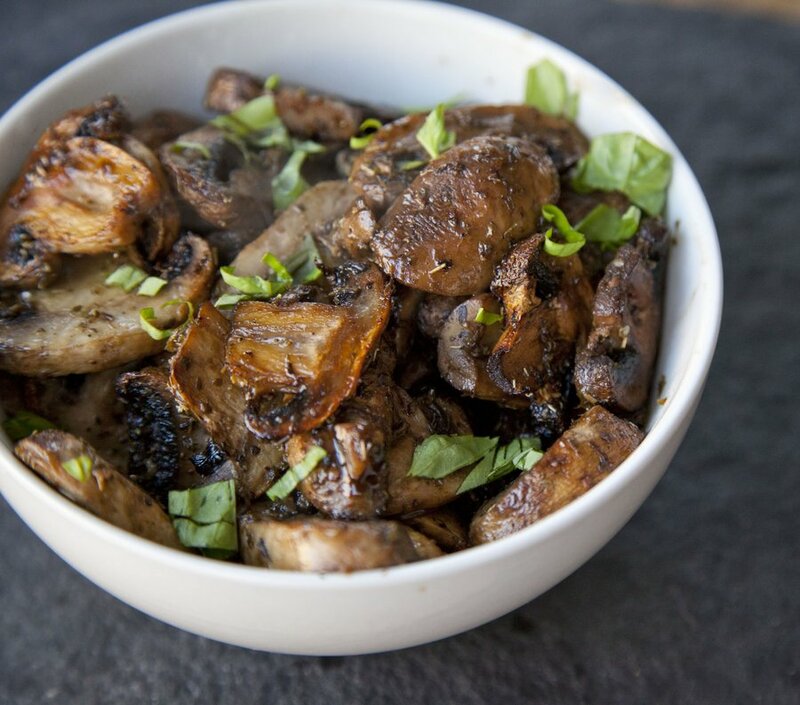 My newest grilling obsession is making Grilled Mushrooms. I haven’t grilled a mushroom since culinary school, and forgot just how good they are. However, the other night, when planning to grill mushrooms, the weather took a turn for the worse (read: monsoon) and I had to reevaluate my dinner plans. 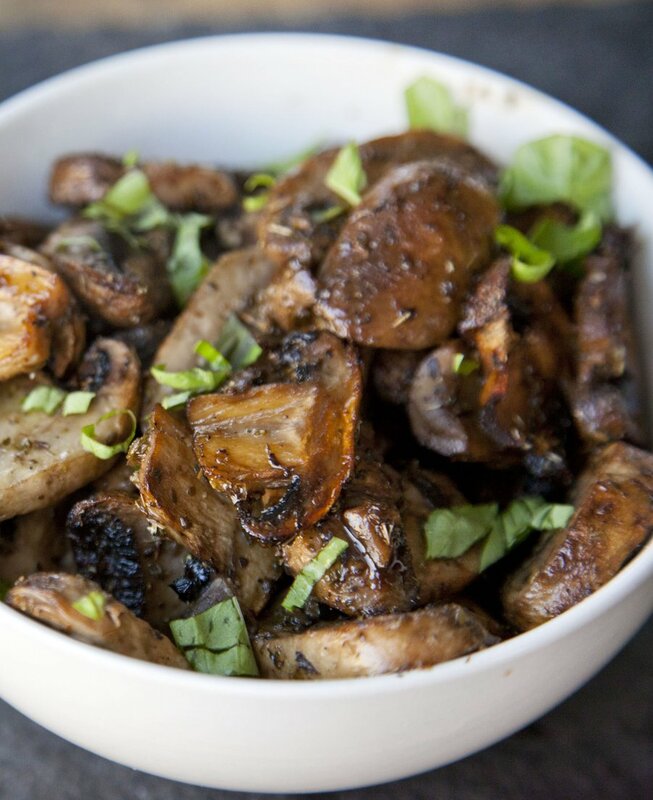 Since I already had my mushrooms mixed together with the oil, herbs and seasoning, I decided I would just roast them in the oven (oddly enough, something I’ve never done with mushrooms….usually I sauté them). 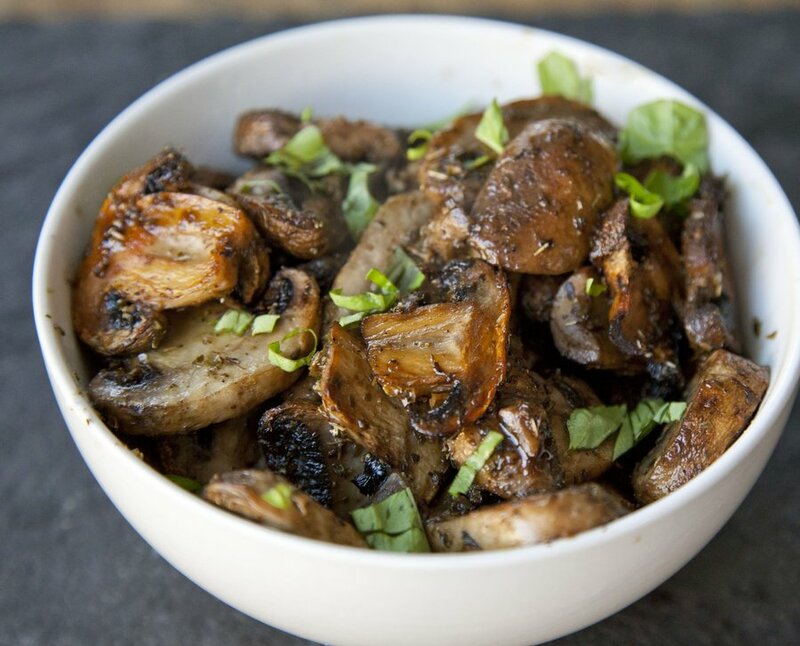 The mushrooms came out perfectly tender and flavorful and this literally could not be easier to make. 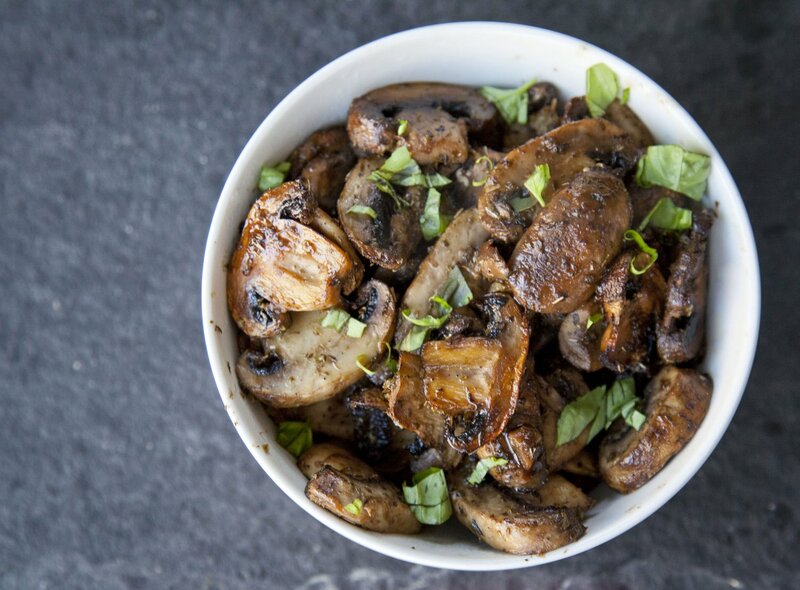 I bought super large white mushrooms – potentially genetically engineered they were so large – and they worked out perfectly to be sliced ¼” thick for this recipe. This side dish pairs great with chicken, steak or with a vegetarian meal to act as a “meaty” protein. A quick and easy side dish that pairs great with any dinner! Preheat your oven to 400 degrees and line a baking sheet with tin foil. In a large bowl combine all of your ingredients except the fresh basil. Mix together so all the mushrooms are coated evenly. Pour mushrooms out onto the baking sheet and spread out in an even layer. 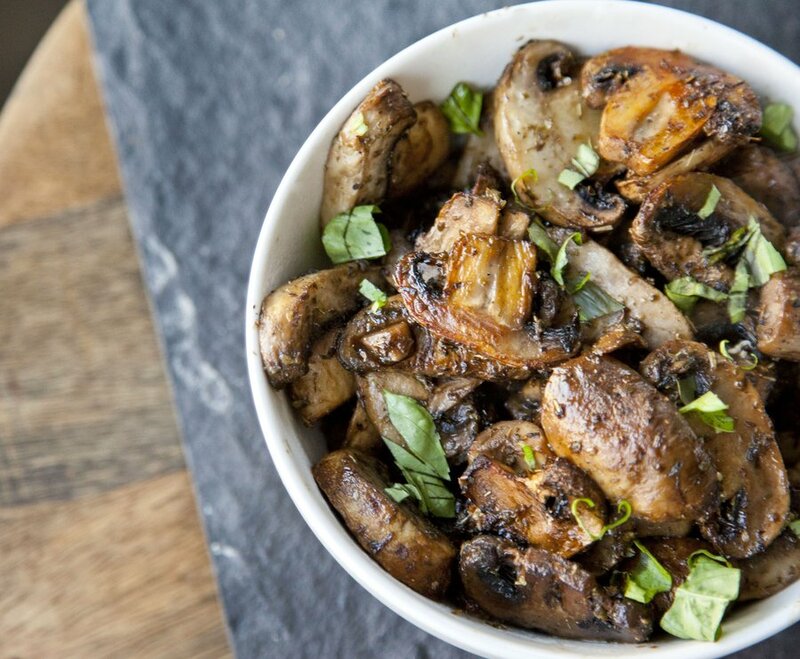 Bake for 15 minutes, then toss the mushrooms around on the pan and bake another 15 minutes. Serve with fresh basil on top.